With a month to go before Belgium's municipal elections on 14 October, campaigning is about to enter full speed - and 50,000 foreigners in Brussels will have their say on how their local communities will be run over the next six years. Every party in each of Brussels’ communes must submit its list of candidates this weekend. To be eligible, the list must either have the backing of two existing municipal councillors, or have gathered enough signatures among the wider community. This varies from five to 100 signatures depending on the size of the municipality. Residency checks are carried out on each candidate to make sure they actually live in the commune they are representing. 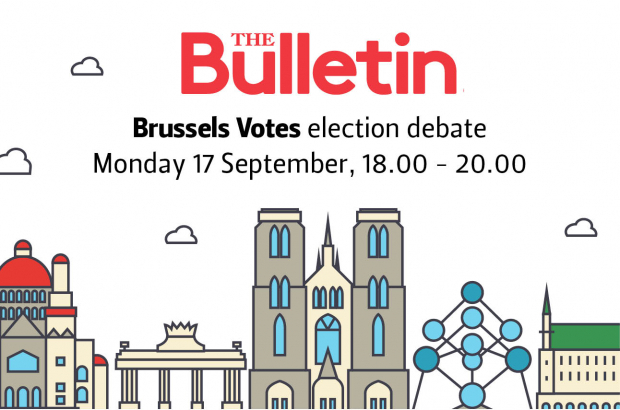 On Monday (17 September), The Bulletin hosts a local elections debate in English at Science 14 in the EU district, moderated by Philippe Van Parijs, discussing big issues from public cleanliness to traffic and air quality, from social inequalities and community initiatives to school and creche facilities around Brussels. You'll find coverage of the debate on our website and social media. With candidates from six parties and four Brussels municipalities joining our panel, here's an overview of what's at stake in each of their local areas, as well as a general guide to the main political parties seeking your vote. It's been 15 months since Philippe Close succeeded fellow Socialist Yvan Mayeur as mayor of Brussels, after Mayeur resigned following a corruption scandal involving social aid agency Samusocial. How will that affect the outcome of the 14 October vote? Some 7,200 non-Belgians in the City of Brussels have registered in time to voice their opinion on how the city should be run over the next six years. Among the groups in contention is a new citizens' list, Change.brussels, led by former sp.a councillor Ans Persoons. The Flemish party N-VA also sees an opportunity to gain seats in the capital. Hot topics downtown featuring recently on TheBulletin.be include poor air quality around schools and the ongoing works on the pedestrian zone. Builders have been asked to work overtime at the weekend to speed up the major construction project, as residents and shopkeepers are keen to see it finished. Sitting next to the EU institutions, the municipality of Etterbeek managed to get 17.8% of eligible foreign residents to join the electoral roll. Mayor Vincent de Wolf (MR) almost achieved an absolute majority last time, winning 17 of the council's 35 seats, and chose to partner with Ecolo and PS. The Bulletin's coverage of Etterbeek in recent months includes disappointment about how long the renovation of Place Jourdan is taking, and a neighbourly dispute between Etterbeek and Ixelles over whether Etterbeek rail station should be renamed. More than 30,000 foreigners call cosmopolitan Ixelles home - and 17.7% of those eligible have registered for October's elections. Ixelles is the only Brussels commune where the role of mayor has been done as a job share. When the Socialists and MR formed a majority after the 2012 elections, they agreed that Willy Decourty (PS) would hold the position for the first three years and Dominique Dufourny (MR) would run Ixelles for the second half of the term. Any EU citizen living permanently in Belgium can stand for election as a local councillor - and our guest Bertrand Wert is the proof. He's French, living in Brussels since 2000, and seeking re-election to the town council. Ixelles is rarely out of the news on TheBulletin.be - whether it's the redevelopment of the Chaussée d'Ixelles or the ongoing problem of noise and late-night drinking around Place Flagey. One group, Objective XL, even wants to turn the square into an urban beach over the summer holidays, inspired by Bruxelles-les-Bains. Brussels' fourth-smallest commune, with about 25,000 residents, achieved the highest rate of voter registration among non-Belgians in the entire region. Just over a quarter of foreigners in Watermael-Boitsfort will be able to vote next month. The municipality is also unique in having Brussels' only green mayor, Olivier Deleuze (Ecolo), who is standing for re-election. Among the local stories making the news in The Bulletin recently have been the US Embassy's decision not to move to the former Axa building on Boulevard du Souverain, after the municipal council successfully applied for the site to be added to Brussels' protected monuments list. Meanwhile, a remarkable plan is under way to convert the 71-metre-high Eglise Saint-Hubert into 41 luxury apartments - the first time that a church in Belgium has been turned into housing.